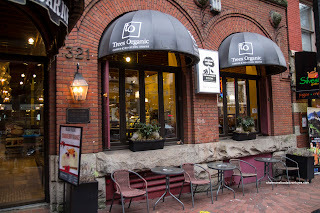 Awhile back, on the Taste Vancouver Food Tour (Gastown edition), one of our stops was Trees Organic. Much like many of the other stops, we were given a itsy bitsy sample of their wares. Honestly, I was not able to gauge whether the cheesecake we tried was really good or not. I *thought* it was good, but needed to confirm it. 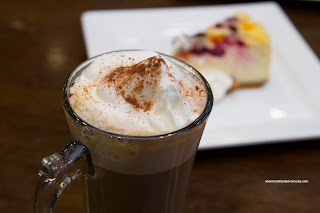 In my personal opinion, it is really not fair to the restaurant nor potential readers for me to assess food on one small bite, whether it be on a food tour or a cocktail event. Hence, I added Trees Organic to my very long list of "to visit" restaurants. Making my way down there on an early-morning weekday during the holidays, the place was our oyster. I went for a Mocha to go with my slice of cheesecake. Well, I'm not the most educated coffee drinker, so I can only say that it did the job and wasn't overly bitter nor strong. Then again, with the addition of chocolate and sugar, that probably didn't hurt the cause. 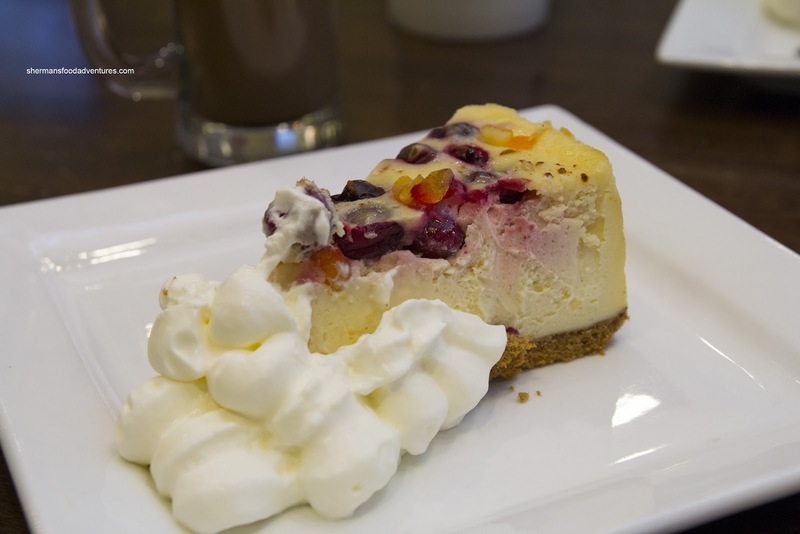 As for my cheesecake, I had the Orange Cranberry with whole fruit scattered on top. As I dug into the side of the slice, it was quite obvious that it had suffered refrigeration degradation where it was rubbery and hard. When I took a few more bites into the middle, the heavy cheesecake was smooth, semi-sweet and firm. This is the type of cheesecake that I like. The tart cranberries and candied orange added a sweet tartness that complimented the whole package. The graham crust was moist and not too dense which I also liked. Also on the table was The Sin consisting of Belgian chocolate and cherries. I didn't actually get to try this cheesecake but from all accounts, the cheesecake was probably fresher since it had a more uniform texture. Honestly, I'm still not convinced I got the full meal deal here. So until I visit again, I will have to reserve judgement on the cheesecakes. 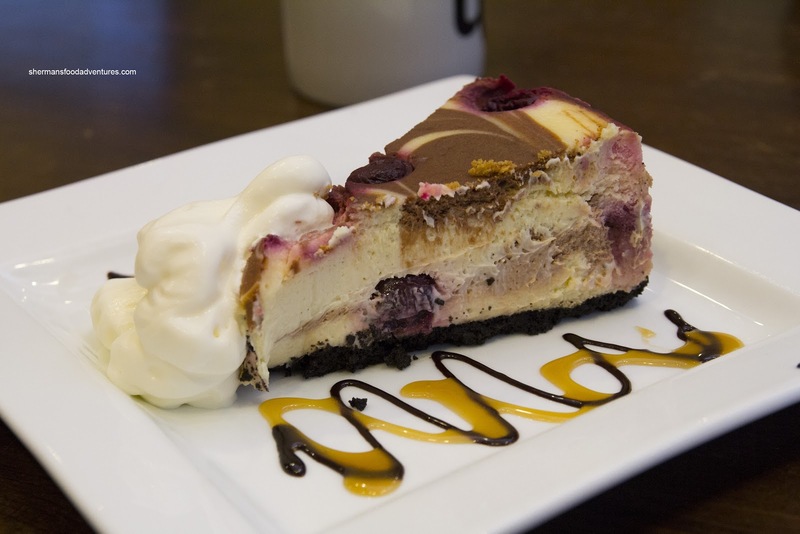 Maybe I need to return on a busier day to try a "fresher" cheesecake. For now, the one I tried was decent, yet unspectacular.